Virginia offers the best of the past and present with its rich history, old architecture and century farms. “Century farms” in the State of Virginia are properties that have been recognized and documented by the Commonwealth of Virginia, as “farms” that have been continuously owned and farmed by a single family for 100 years or more. Glen Manor Vineyards is a fifth generation farm dating back to 1901, identifying Glen Manor Vineyards as a Century Farm. The farm was purchased by Annie Susan Beaty and Raymond Hodder Rudacille, making them the first generation of farmers on the Glen Manor property, farming primarily fruit orchards until 1995. The first vineyards were planted on the property in 1995 by Susan and Raymond’s grandson, Jeff White. Jeff White is the winegrower and winemaker, who considers himself more of a farmer than anything else. For many years, Jeff White grew and sold his grapes to other wineries in Virginia. He also worked with Jim Law at Linden Vineyards for several years, where his winemaking career began. You can read my previous articles on Linden Vineyards HERE and Virginia Wine Country HERE. Glen Manor Vineyards is situated along the border of the Blue Ridge Mountains and the common border of Shenandoah National Park. The winery is beautifully nestled at the bottom of the mountains where a glen is formed and mountains with elevations as high as 3400 feet can be seen. Their vineyards are high and steep, with rocky and well drained soils creating one of a kind weather conditions for farming. Their outdoor patio area is calm and peaceful offering breathtaking views of the mountains where the Skyline Drive can be viewed when you look up. It’s also perfect for a glass of winewith a picnic brought from home. Glen Manor Vineyards was one of my favorite wineries that I visited while in Virginia. From the beginning, I felt right at home in a quaint country style tasting room offering the most majestic views of the hills. Jeff’s wife Kelly, welcomed us into the tasting room and guided us through one of the most engaging tastings I’ve been too. Her passion and enthusiasm for the farm is shown, as she describes each wine and giving you stories of how the wine came about. Kelly said that Jeff likes to name his wines after people who have inspired him and had a large impact on his vineyard. For example, the “Rosales Rose” is named after Jose Morales and his family, who have worked the vineyard with Jeff White since its establishment. In 2012, Jeff White was given the covenant award of The Governors Cup for their 2009 Hodder Hill. This wine was named after his great grandfather Raymond Hodder Rudacille, the second generation of the family to farm and live on this land. Although, the vintage for this wine is no longer available, the 2013 is still available and just as delicious. The Hodder Hill is a red blend of Cabernet Sauvignon, Merlot, and Petit Verdot and named after their grandfather Raymond and the “Hodder Hill” site. This wine is complex with multiple flavors layered on the palate. Aged 21 months in French oak, this bottle is good until 2030. Jeff White approaches his winemaking with a sense of place and harvesting by taste. Glen Manor wines are a true reflection of Jeff’s non interventionist approach to winemaking and farming. Wines are produced in small quantities in order to maintain the quality and allow them to produce 100 percent estate grown wines. Today, Jeff White welcomes his niece and nephew, Ashleigh and Jack White, the new generation of family farmers who have recently joined his team, learning and working the vines. 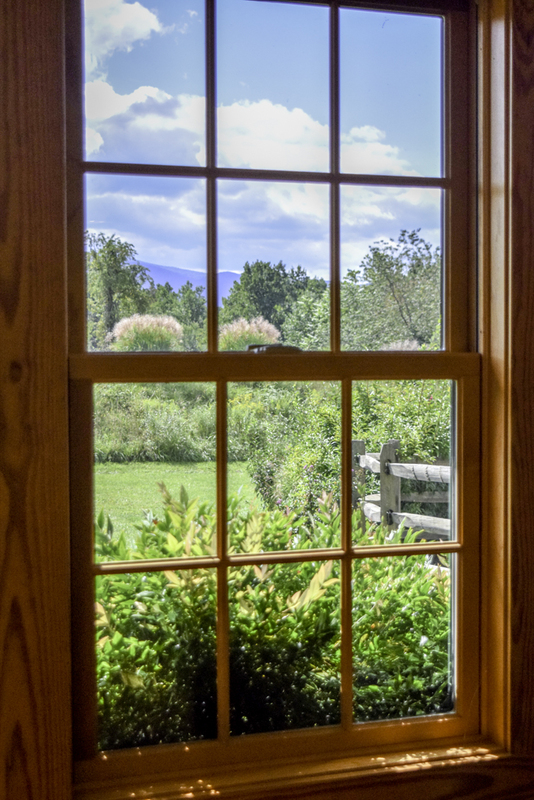 Glen Manor is s true reflection of Virginia with beautiful nature surrounding the property and future generations ready to take on the multi generational farm. Glen Manor Vineyards is unable to accommodate groups larger than six. (six person group size limit includes minors and non-tasters). They do not allow limousines or buses on the property. They do not provide any foods, but you are welcome to enjoy your own food from home. Only service dogs allowed in the winery. On winery grounds, dogs must remain leashed to their owner at all times. Children must be accompanied by and in direct supervision by parents or guardians at all times. Last on-premise wine served at 4:45 PM. Last tasting at 4:50 PM. ***** Sponsored in Partnership with Virginia, Glen Manor Vineyards and Pro Wine Tours.